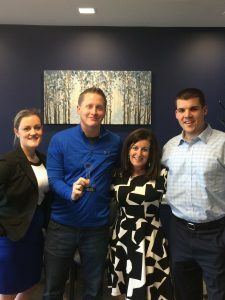 Please help us celebrate the award of our Q3 Employee of the Quarter – Shawn Connelly! "As an organization we received 18 nominations, with numerous coming in for Shawn," said Evette Baker, President of Sparks Group. "Shawn touches all of us in many, many ways. He is responsible for all of our proposal work, commission and quota generation, data analysis, digital marketing, etc. But, the most notable is the completion of the new Sparks Group logo, website, and upcoming branding initiatives."